Now you may think that I’m not very politically correct, or socially acceptable myself. Of course I’m not socially acceptable, or politically correct! I’m a man that is a Texan! Actually I’m quite proud that I’m not socially acceptable or very politically correct. Politically correct is just another way of saying LIAR in my mind. Of course I do have that pin shaped head! 😉 So if you are a smoker enjoy that smoke, really I mean it. I like my greasy hamburger and oh my God I love bacon. I don’t want the government telling me I can’t enjoy those things. But do me a favor, think about what you are doing and that people around you may be too nice, or timid to tell you that you stink and they would like you to stop. If you are around me very long I will say something to you. Smoking in public isn’t socially acceptable. If you ask people “do you mind if I smoke” most people will say “NO” but who in their right mind would want to smell that stuff. A great philosopher once said about people saying “Do you mind if I smoke?” “No do you mind if I fart?!?!? !” -Steve Martin. 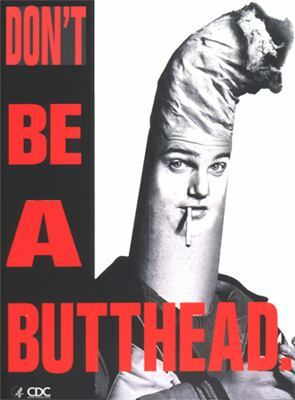 If you must smoke in the privacy of your house or car, then I say go for it. But keep the windows closed. Hey while I’m on the rant. You people stop blocking the aisle with your basket. When you are going to make a turn in the median treat it like you would a road and get on the RIGHT hand side of the median, not LEFT, not MIDDLE. Oh and everyone is just as important and in a hurry as you are Mr./Mrs. BWM owner. Get in line and wait like everyone else. If you MUST talk on your cell phone in traffic GET OUT OF THE FAST LANE YOU IDIOT!